See recent sales and sale prices in your neighborhood. Get access to more information about the value of your home. Watch changes and trends near you. Powerful, detailed information generated by CoreLogic. Get it now, or click below to learn more. 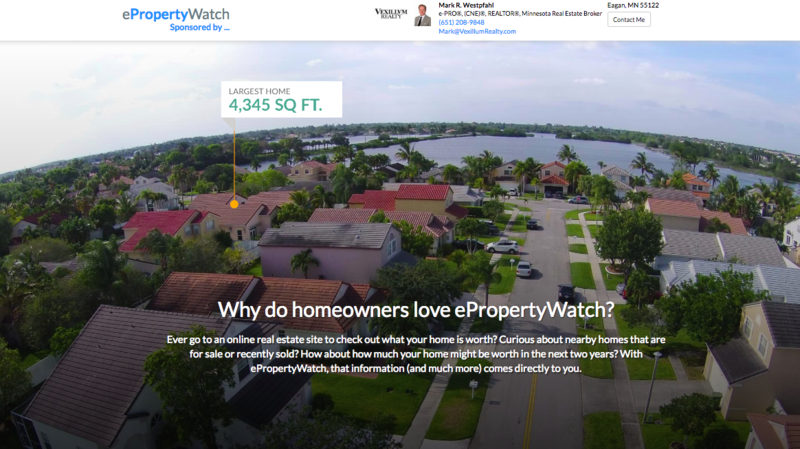 ePropertyWatch delivers information about YOUR home and neighborhood straight to your inbox. Not some dry, dull report about your town – it’s tailored just for you. Markets are dynamic and home values are constantly changing. With ePropertyWatch, you’ll keep your finger on the pulse of your home’s ever changing value. After all, your home is probably your #1 asset, so we’ll help you know where you stand! With ePropertyWatch, you’ll know exactly what is happening around you. From sales to rentals to foreclosures – you’ll have your finger on the pulse of your neighborhood!